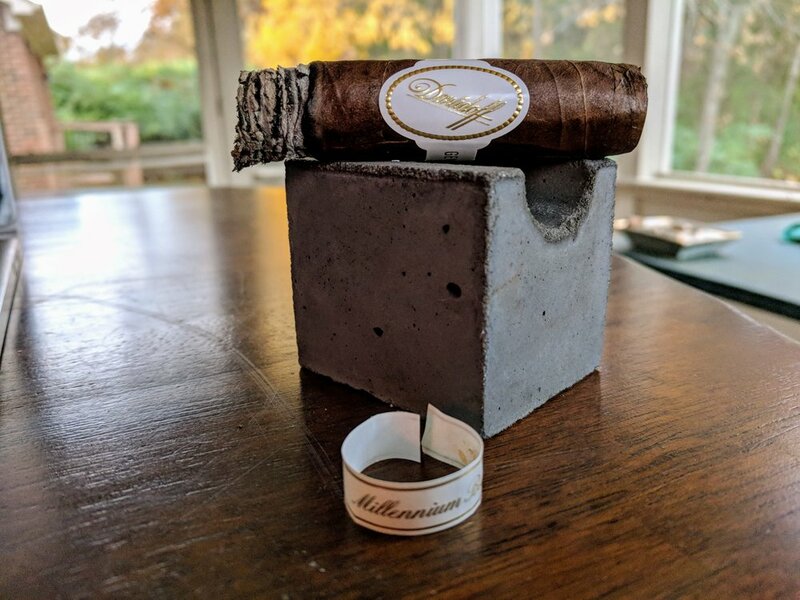 The Millennium blend is billed as Davidoff’s most ‘full-flavored’ blend and has an uncharacteristically dark wrapper – at least for a Davidoff White Label stick when this line was released. I still feel like Kelner messes with the blends in these vitolas a lot more than than a typical line. 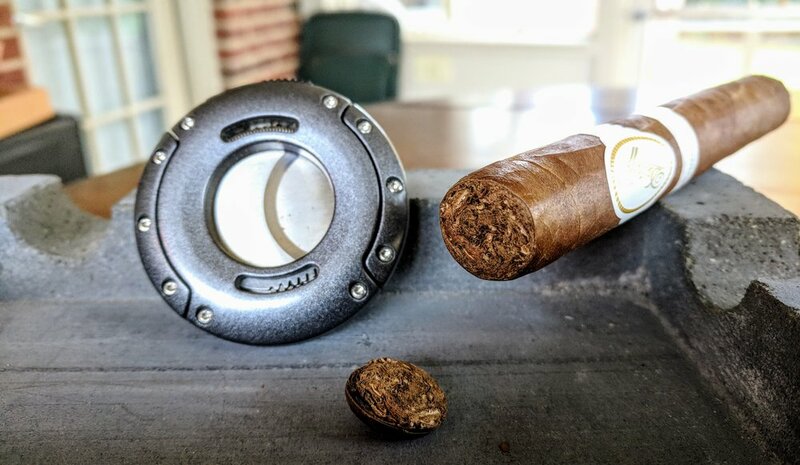 Almost everything I read, each vitola has a modified blend. 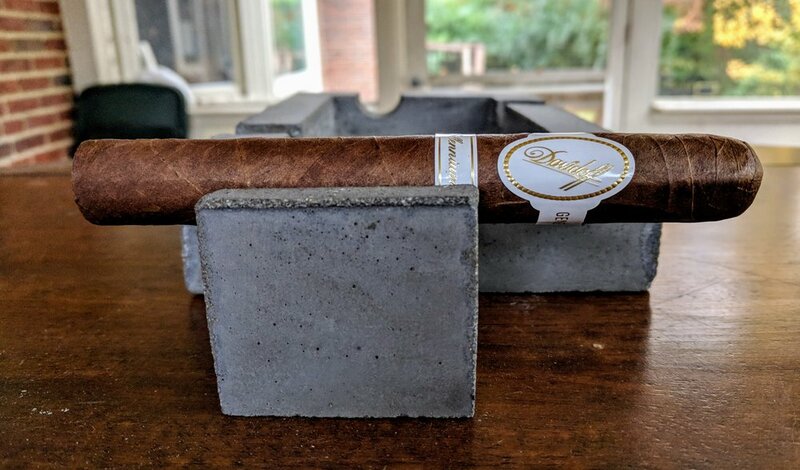 These are regarded as some of the best Davidoffs around. 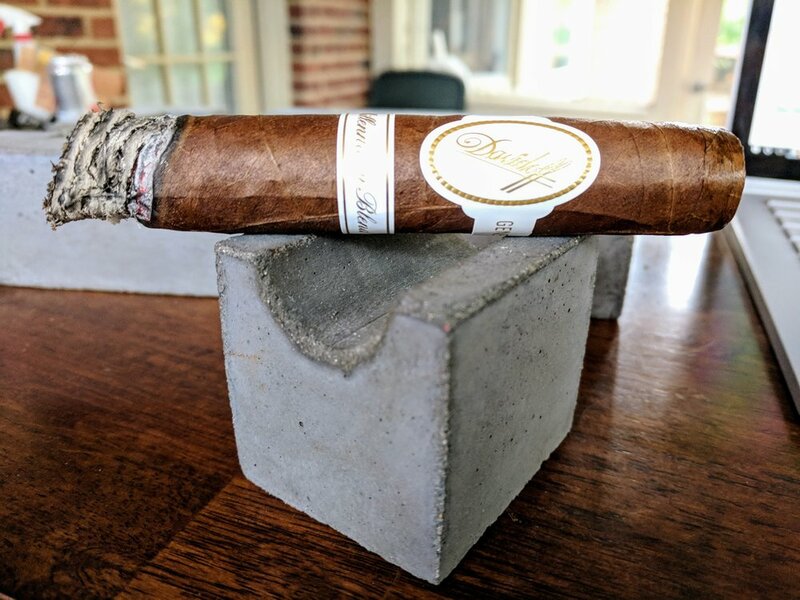 The cigars from Davidoff's Millennium line are always stunningly beautiful and this toro is no exception. Even for the very high quality construction they are known for, I feel like the Millenniums exceed expectations. The Ecuadorian sun-grown wrapper is a gorgeous chocolate Colorado dark shade with some oily sheen to it. There are several prominent veins throughout the wrapper but overall the wrapper is smooth. The seams are well done - laying perfectly smooth. Compression yields a small give and there is a moderate-sized soft spot near the foot. The triple cap is expertly done. The shoulders drop symmetrically and deep in the cigar. The cap seamlessly transitions into the body. The foot looks evenly rolled with the exception of a small void space near the center. A whiff of the foot and wrapper turns up some cedar primarily, but also a decent dose of chocolate and damp earth. The cold draw is open and reflects the same sweet, cedar tones detected in the aroma. There is a slight spiciness on the lips as well. I straight-cut the cap and a toast and we're under way. 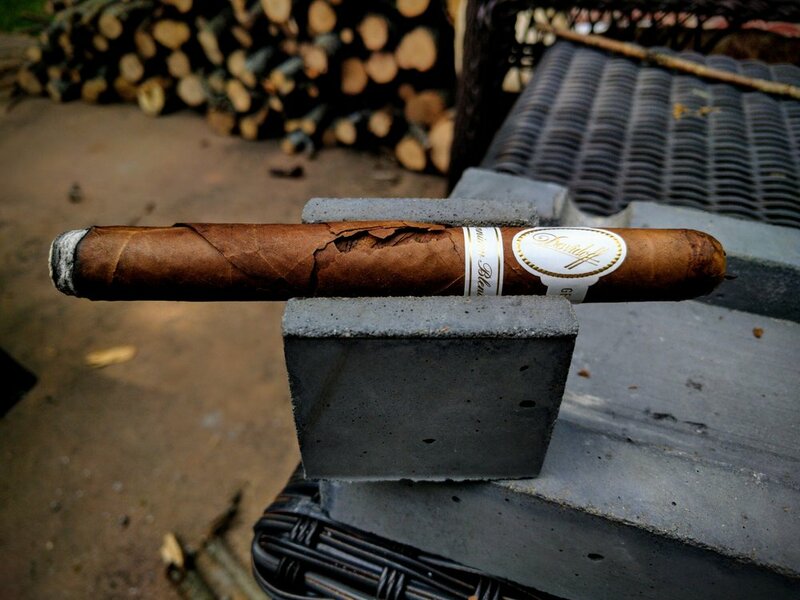 The cigar starts with a little bit of harshness on the first few initial puffs - a light spice or white pepper. Completely absent is the sweet chocolate notes on the aroma and cold draw. The draw is fantastic - just the right amount of resistence and an excellent amount of smoke drawn into the mouth with each puff. The Millennium starts out a bit wavy but nothing terrible at all. There was a little portion of foot that was a bit more difficult to light than the other areas. Smoke production couldn't be better. 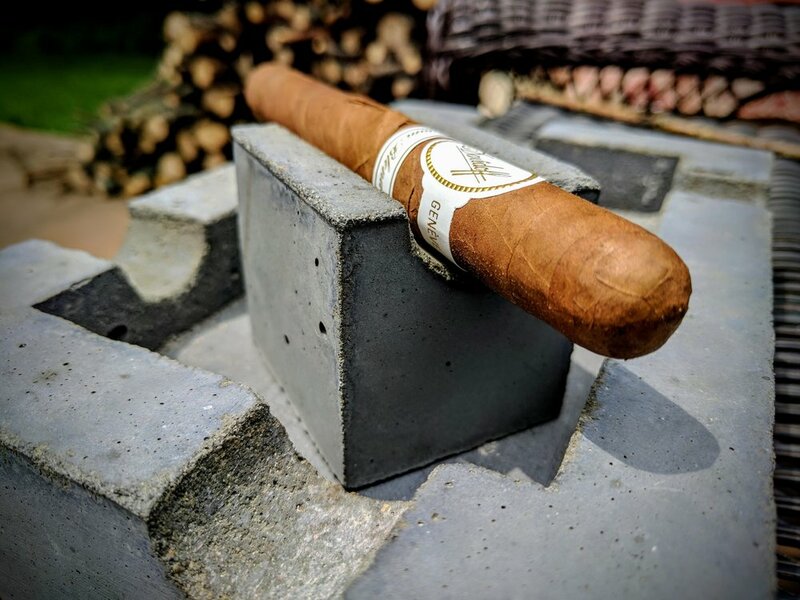 Plenty of white aromatic smoke on each puff and a nice little stream of smoke while resting. 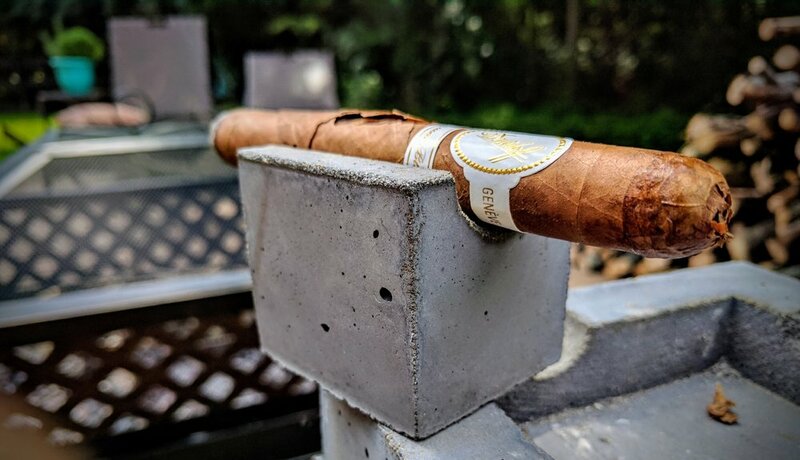 Looking back at my review of a Millennium lonsdale with about a decade of age, it started out very sweet and chocolatey. The toro is missing the sweetness up front but there is definitely some more bittery coffee or dark chocolate notes. There is also a light pepper that fades at about 3/4-inch into the smoke. 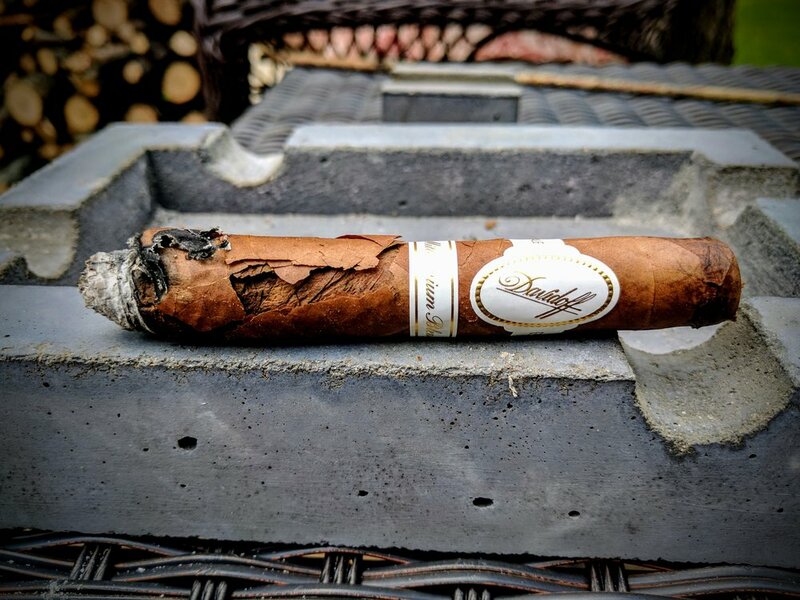 There are also some toasted almond notes that linger on the tongue as the cigar rests. 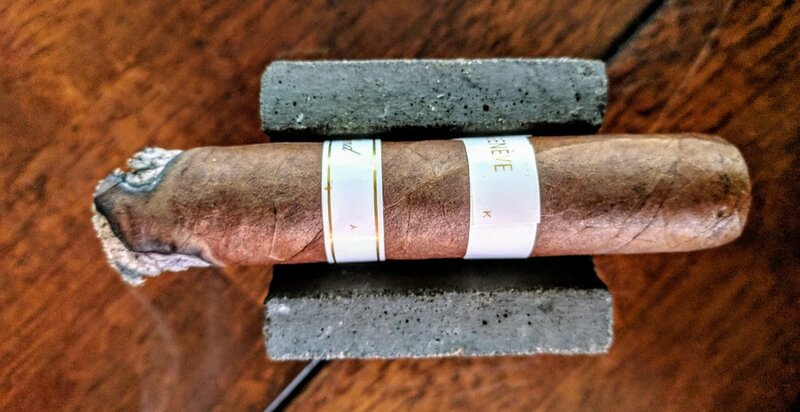 The retrohale at the first third's end is slightly harsh but brings out some great black coffee notes and reinforces some of the toasted flavors. The draw on the toro is perfect and the burn line, while a little crooked, is nice and crisp. The cigar is also burning at a great rate - not too fast, not too slow. The ash fell around the 3/4-inch mark - as usual, on my jeans. The ash is a light grey and tan color and although it fell a little prematurely, stacking fairly well. I remember being fascinated with the lonsdale's effervescent nature on the tongue. Looking back, I wonder if that's just how the slight spiciness of the Millennium Blend's white pepper has mellowed with age. If so, stick these puppies away for a decade or so and get ready for an amazing experience. The second third's other flavors are a progression of the initial profile - continuing the roasted nuttiness but bringing in some soft toffee, caramel latte notes. There's a little charred wood - maybe cedar - starting to develop as well. As the flavors develop on the tongue between rests, there is a very interesting new flavor introduced - almost a gummy-like flavor - very similar to how orange Dots taste. The retrohale's harshness has subsided and yields a very rich roasted coffee bean flavor - it tastes like you're crunching on a warm, freshly roasted coffee bean. The burn has corrected itself nicely - still a little crooked but no cause for a touch-up. Unfortunately, at about the cigar's midpoint the burn line morphed into a significant widow's peak. I'm hoping some attentive resting with the non-burning side face-up will help the cigar course correct. The ash is maybe a little darker grey with black highlights at this point. 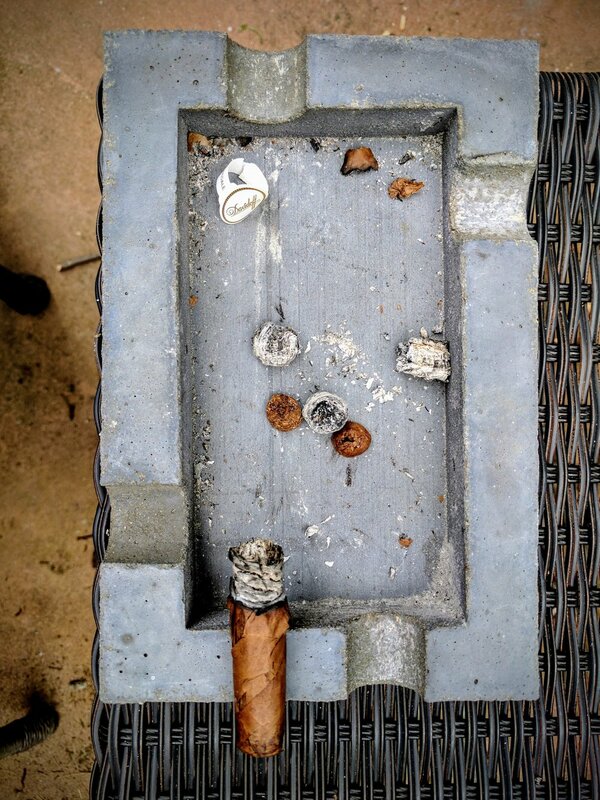 It stacked to about a half-inch before dropping gently into the ashtray. As the final third starts, the roasted nuts have really developed and built wonderfully to a rich, full-bodied smoke. Some coffee and cedar continue to compliment on the palate. 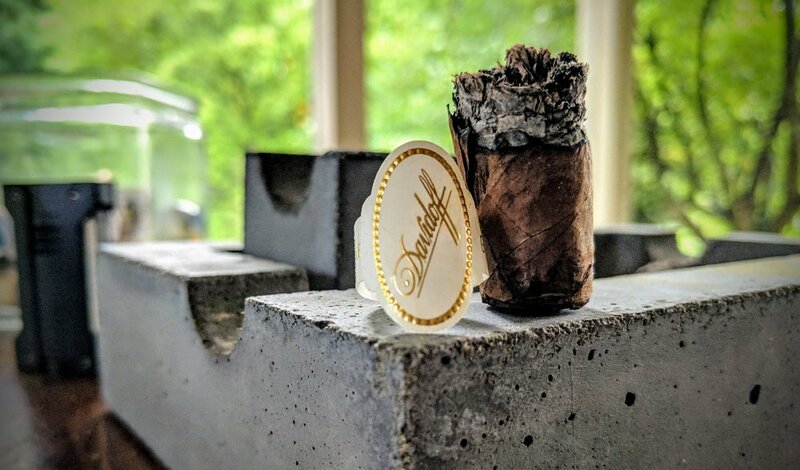 There is also a good amount of chocolate that coats the mouth as the final third works down to the nub - really a fantastic finish to a great cigar. The last third's retrohale is again pretty smooth and brings out some caramel and dark chocolate. The draw has not deviated throughout the experience - always an excellent openness with lots of smoke readily available. 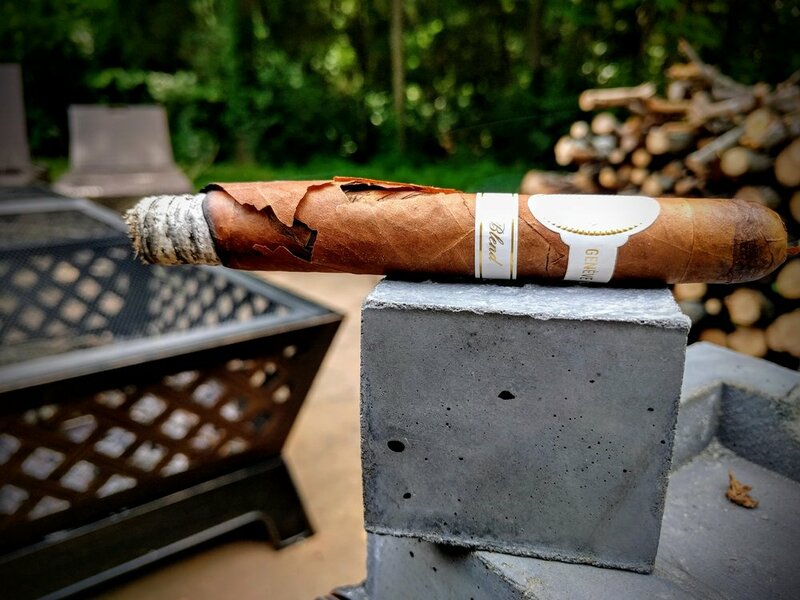 As the cigar's burn line hits the secondary band, it has corrected itself to be burning perfectly. The widow's peak from the end of the second third completely burned off and the cigar is now burning with a truly razor sharp burn line. The ash hasn't really been too durable. 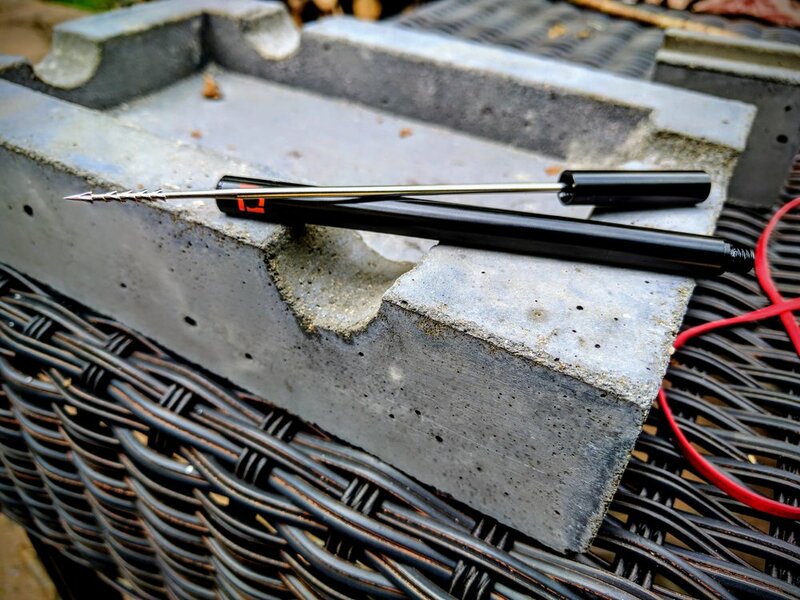 It tends to drop off every half-inch or inch. Nothing to detract from the experience really, just something to watch to ensure the ashes find their way to the ashtray, not your lap. The flavor profile of the Millennium Blend in the toro format is great. The flavors ebb and flow but always come back to a roasted nut quality. The progression of flavors never really deviate from this but are consistently complimented but a host of other flavors that make the roasted nuts shine. By the end, there is a beautifully complex, medium-bodied flavor profile that really is amazing. The Millennium Blend burned somewhat inconsistently at points but it was never really a concern. 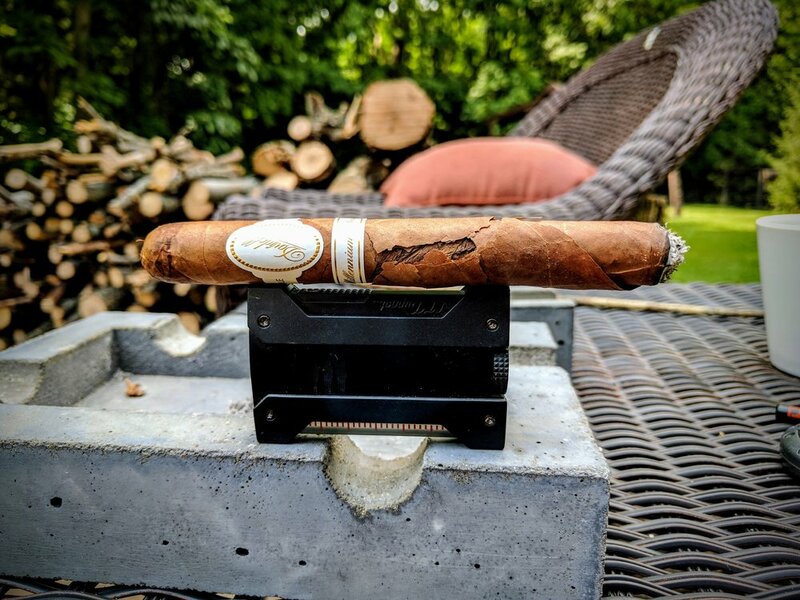 It had me a little worried at about the midpoint but true to Davidoff's reputation, the toro fixed itself and never looked back. 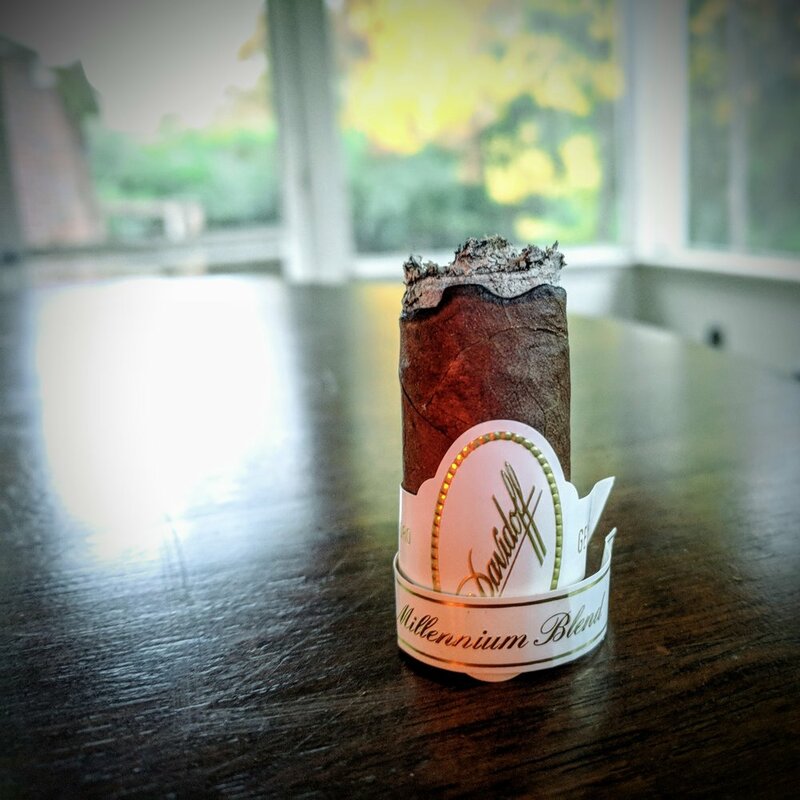 For such a full-bodied, very flavorful and complex cigar, the strength is still quite approachable to any stogie smoker. The flavors found in toro were reminiscent of the lonsdale but unique to the toro. 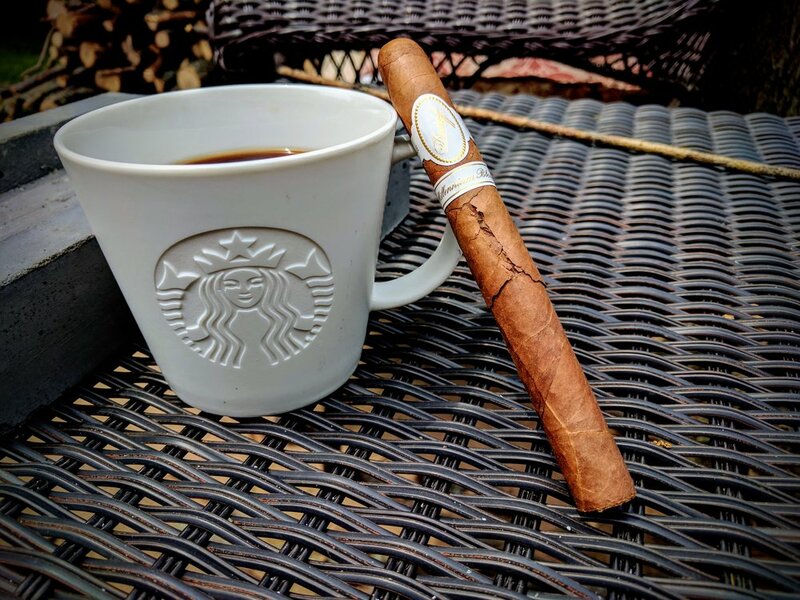 The toasted nut flavor dominates the palate throughout the smoke but is constantly reinforced and balanced with coffee, chocolate, and even a small amount of white pepper from time to time. 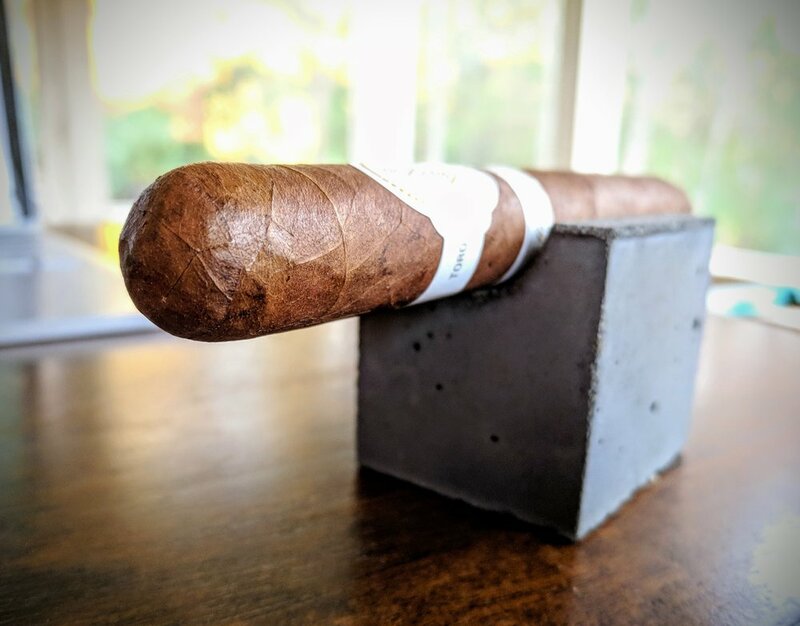 For a cigar that will typically run in the $20 range, it certainly does not disappoint - there is a beautiful complexity and flavor profile that lingers on the palate well after the cigar is extinguished and the construction is spot-on and emblematic of the perfection expected from Henke Kelner's blends. 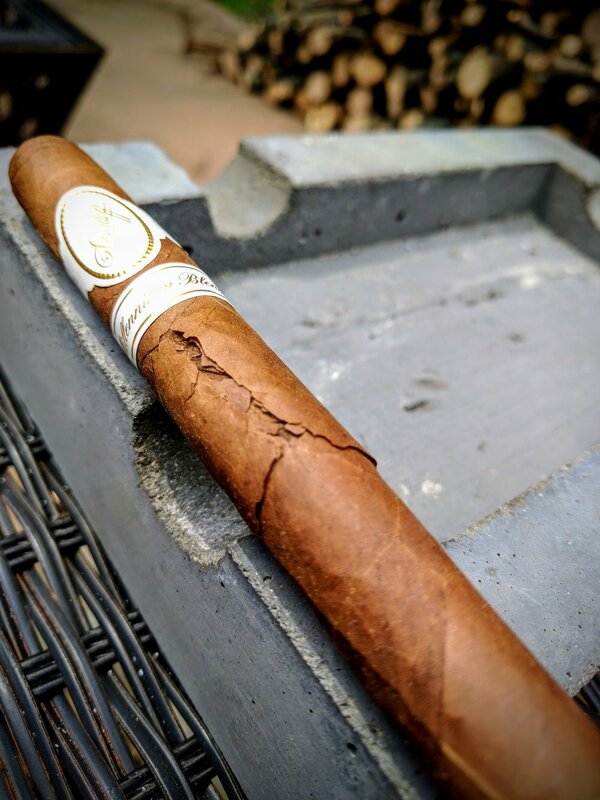 Without a doubt a cigar worthy of any occassion. 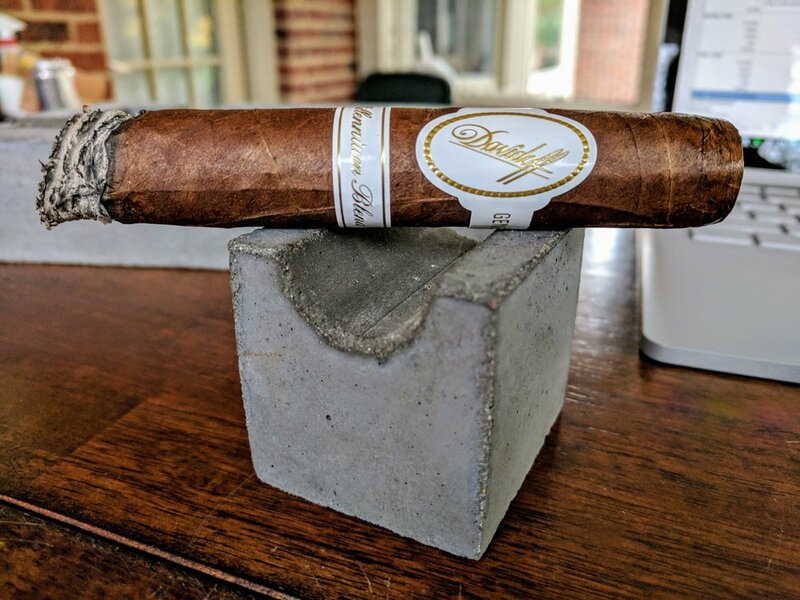 A random compilation of other reviewers gave the Davidoff Millennium Blend Toro a normalized rating of 9.10, which was not too far off from my own assessment of 9.0!